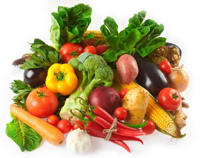 The Senior Farmers Market Nutrition Program is funded by the United States Department of Agriculture and operated in partnership with Ohio Department on Aging and the Western Reserve Area on Aging. Community Partnership on Aging volunteers each year to serve as a distribution agent for the coupons. For people living in single and multi-family homes in the zip codes of 44118, 44121, 44122, 44124 and 44143 sign-ups will be held from 10:00-4:00 on July 22 and July 23 ONLY at the South Euclid Community Center, 1370 Victory Drive. For people living in apartment buildings in those same zip codes – please call our main office at 216-291-3902 to find out what day you should come here or whether we will come to your building. If we have made arrangements to serve your building on a separate date, your application will not be accepted at the South Euclid Community Center location. You must have a HOUSEHOLD income of $20,665 or less as a single person or $27,991 as two persons living together. You may only apply at one distribution site. You must live in one of the designated areas listed above. You will need to bring a driver’s license or state ID with you at the time of application to verify your identity and your address. No other documents will be accepted. This year, coupons will all expire on October 31, 2013. Because coupons are extremely limited, we will take applications for a waiting list once we run out of coupons. It is very important that you are committed to spending the coupons if you do receive them. If any additional coupons become available, we will contact people on the waiting list to distribute additional coupons. Stay tuned for information on Mobile Farmers’ Markets!